Party essentials perfect for children’s celebrations. 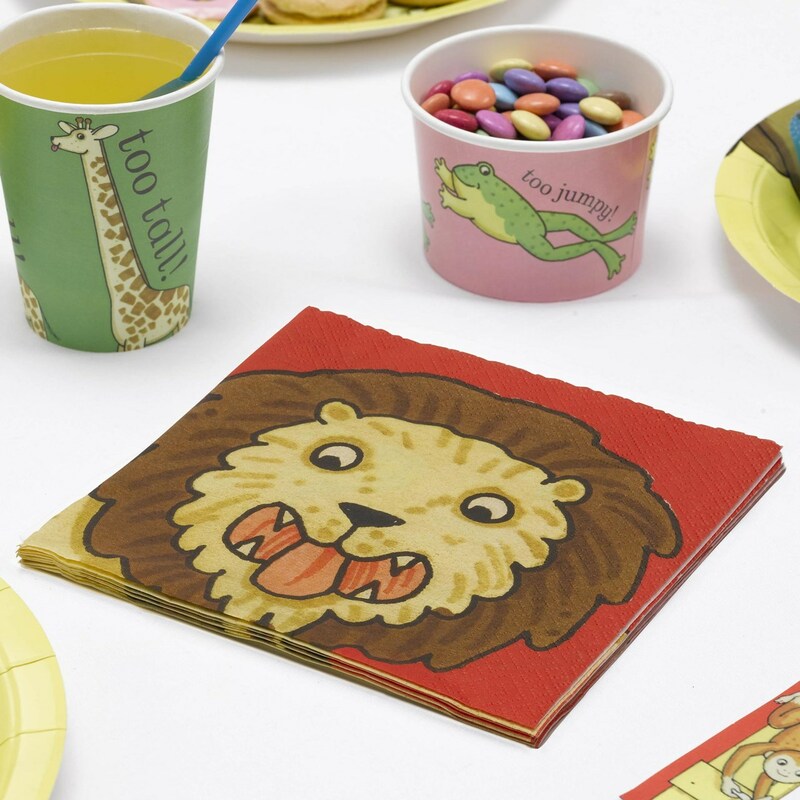 These colourful napkins are part of the Dear Zoo party range which features must-have tableware and accessories ideal for little ones’ parties. Emblazoned with the lion from Rod Campbell’s classic book, these durable 3-ply napkins compliment a full range that includes plates, cups and bowls. Featuring original artwork by Dear Zoo creator Rod Campbell, these bold napkins offer a colourful method of wrapping up your birthday cake. Each pack contains 16 Paper Napkins.